It’s that time of the year again – CNY and a whole load of temptations for low carbers. 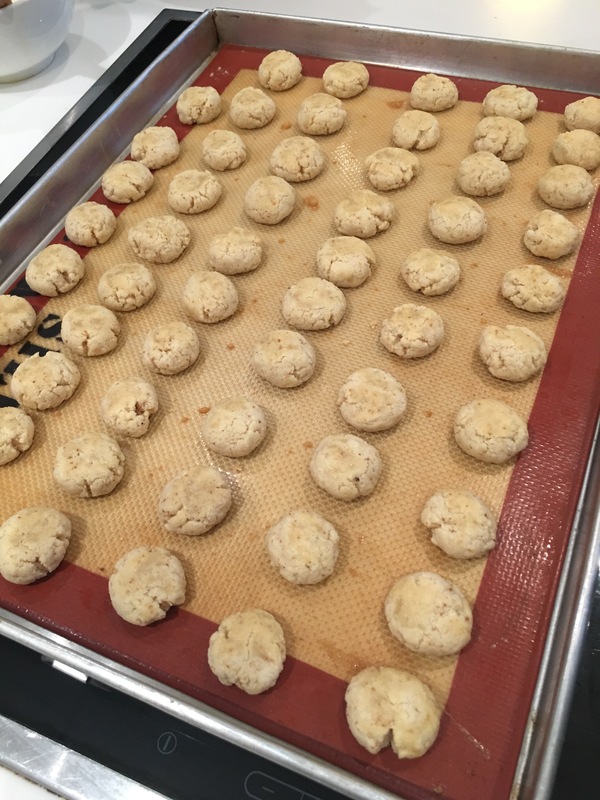 I confess that I’ve been in a bit of a baking frenzy – I used to make pineapple tarts and various other CNY cookies but now the aim is to make low carb cookies that can help my family steer clear of the less healthy sugar and flour laden offerings. Coming up with new cookie recipes is an imperative – this is because our traditional goodies like pineapple tarts, kueh bangkit and cornflake cookies are absolutely IMPOSSIBLE to make low carb. For the pineapple tarts I managed to get a decent low carb shortbread tart recipe but there is nothing low carb about pineapple! Anyway it’s the Year of the Rooster – a fire Rooster no less – what’s confusing is that a direct translation of “fire chicken” or 火鸡 is actually a turkey! Now that’s my favorite bird…now that would be something to see roast turkey at Chinese New Year! This year my family is away, taking an opportunity to step out of the yearly frenzy for some family time. It also helped that the CNY falls on a weekend, so that in place of a 2 day holiday, we effectively get about 4 days. We broke tradition mainly because kid#1 goes to the army for National Service in April, and kid#2 has been having an overwhelming time at school. Hubs gets a break from the handing out of hong baos and I also get a break from the constant temptation of high carb food. It’s particularly challenging when going to other people’s homes and not being able to eat 80% of what’s on the table. So I packed these yuzu cookies and also my homemade almond dainties and skedaddled out of Singapore. So this Yuzu cookie recipe was made for nibbles on our journey and also would remind us of the other must-have at CNY – mandarin oranges. Yuzu is a tart citrus fruit from Japan that has overtones of a mandarin orange. Yesterday we had a chance to meet a Chinese waitress at a Spanish restaurant and just chatting with her, I realized the big difference from being able to walk away from CNY celebrations versus not being able to celebrate CNY. I realized that this lady and her family who had been in Barcelona for 30 years had minimal opportunity to go back to their home country and because of work, did not celebrate CNY. For them, it was just a date on a calendar. This was when I realized how much I actually missed the crazy atmosphere at home…it’s true that at CNY we get the annoying questions from elderly relatives, or the pressure of having to figure out the names of the children of the cousins twice removed, but there is a certain joyfulness of coming together and celebrating a new season together. So to all my friends and family, I wish you good health, blessings and much joy as you celebrate the Year of the Rooster. May you continue to discover the blessings of family and close relationships and treasure every moment together as a gift. Heat the oven to 170 deg C.
Melt the butter (I microwaved in a bowl for 30 – 40 seconds). Mix the almond flour, sugar substitute and Yuzu powder together. Add the egg and butter to the dry ingredients. Roll the dough into 1.5-2 cm diameter balls and flatten slightly. Place on baking sheet lined by a silicone mat or baking paper. Bake for 10 minutes. Cool and serve. This is a soft cookie and can be kept for about a week in a sealed container.